Learning Machine creates software to provide official records that are cryptographically signed, tamper proof, and independently verifiable via the blockchain. Certificates on the blockchain allow individuals to hold and share digital proof of their education and employment. The power of these certificates comes from their ability to be shared peer-to-peer and verified as authentic. Cambridge, MA, June 7, 2016	(Newswire.com) - ​​​​​​​​​​​​​​​​​Learning Machine and MIT Media Lab’s Learning Initiative have released the first version of an open-source project that builds an ecosystem for creating, sharing, and verifying blockchain-based educational credentials. These certificates can be collected by individuals and shared directly with anyone who requires official documents. It’s as simple as sending a link. 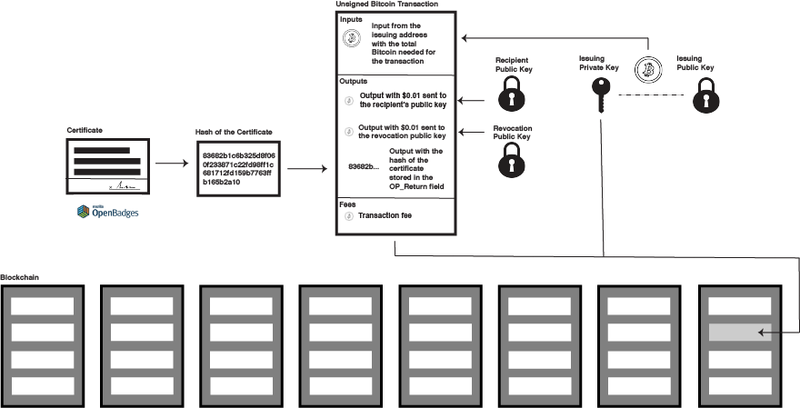 The Bitcoin blockchain is currently being used as the secure anchor of trust to ensure that each certificate is authentic, unchanged, and still valid. Subsequent releases will make it more useful for real-world adoption: certificate versioning, revocation, cohort issuance, cost reduction, and privacy considerations for encrypting documents that contain highly private information, like academic transcripts. 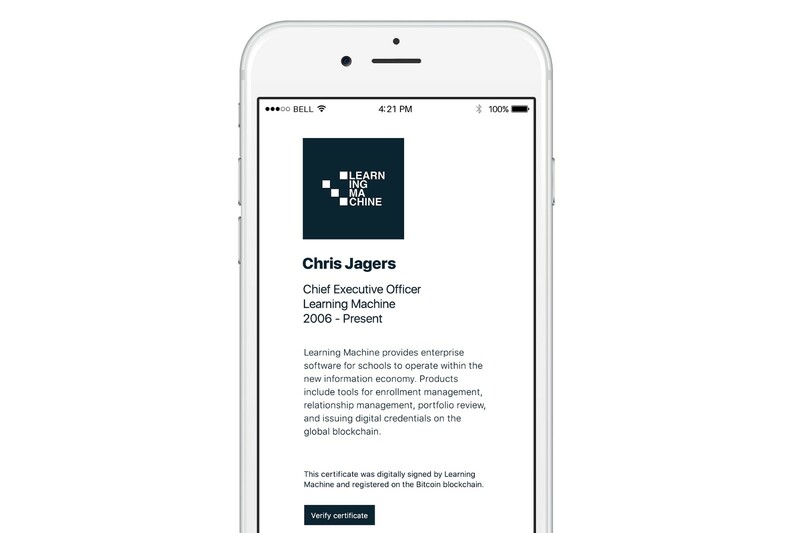 Chris Jagers, Co-Founder and CEO of Learning Machine, explained, "The goal of our collaboration with the MIT Media Lab is to empower individuals with shareable credentials that can be used peer-to-peer and verified as authentic. The current system for sharing official records is slow, complicated, expensive, and broken for everyone in a myriad of ways. The first generation of students to grow up entirely during the Internet age have started applying for college, and many admissions officers can share stories about applicants trying to text photos of their academic records. The expectation, while seemingly humorous, conveys an honest impression about the way things should work. It should be that easy for people to share certified records directly with others and have them trusted as authentic." “Blockchain verification flips the current power arrangement in higher education by giving learners control over their official documents,” said Learning Machine President and COO, Dan Hughes. “Today, most evidence of achievement is bottled up in a proprietary information system or stored unofficially on a piece of paper framed on a wall or lost in a box in the garage. Jailbreaking the credential is about every learner being able to directly see and share verified evidence of what they have achieved. A curated view of one’s achievements, shared at whatever level of granularity is appropriate, puts the learner's privacy and self-expression on equal footing with institutional demand for proof." 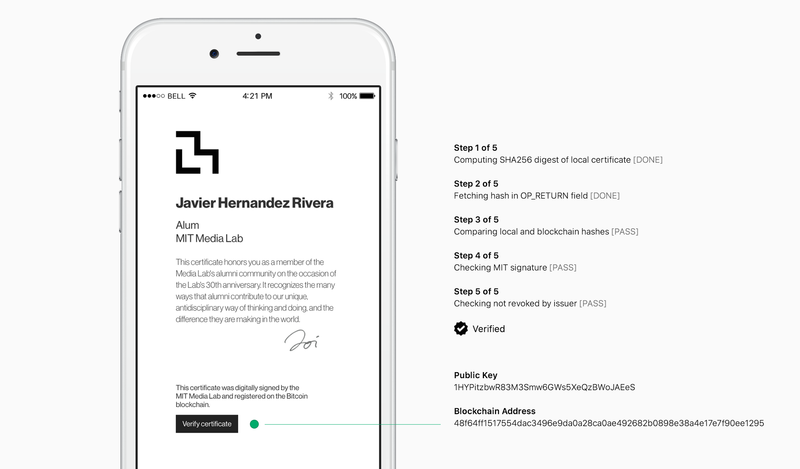 The goal of our collaboration with the MIT Media Lab is to empower individuals with shareable credentials that can be used peer-to-peer and verified as authentic. The current system for sharing official records is slow, complicated, expensive, and broken for everyone in a myriad of ways. Learning Machine Cultural Anthropologist, Natalie Smolenski, explained the technology's social and institutional impact: "For the past several years, co-curricular transcripts have engendered lots of excitement among educators as a way of highlighting student achievement holistically, including those activities that take place beyond the classroom. This created a new challenge, however: how could any one institution adequately curate all of this activity, much of which occurs beyond its purview? With verified digital credentials, the organizing principle shifts from issuers to the individual. Learners now have the power to curate their own, appropriately tailored, co-curricular transcripts from across all of their verified education and experience. That is the mission at the heart of this project." This effort represents the first step in a broader undertaking that is focused on creating new technologies and collaborating to evolve standards that lift the entire ecosystem. The project builds on Learning Machine’s robust track record of forward thinking enterprise software delivered at scale and the Media Lab Learning Initiative’s world-class research engineering. About Learning Machine: Learning Machine is a global provider of enterprise software for mission-driven organizations with an emphasis on higher education. Around the world, Learning Machine’s products are used to manage recruitment, enrollment, portfolio review, faculty hiring, and credentialing. About MIT Media Lab Learning Initiative: ML Learning is a new MIT Media Lab initiative that promotes creative learning: projects, peers, passion, and play. It ties together learning related research that takes place across different research groups, develops new technologies for creative learning, and uses the Media Lab as platform for new conversations about learning. Sign up for email updates from Learning Machine.